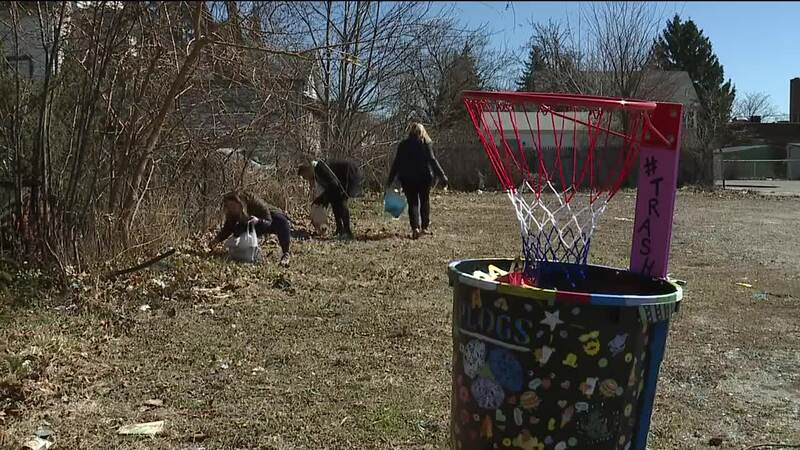 Plogging - a Swedish fitness craze that combines exercise and picking up litter - is coming to Cleveland. CLEVELAND — Have you ever heard of plogging? It is a fitness craze that began in Sweden and spread to nearly every continent. Now, it’s coming to Cleveland. It’s easy — jogging while picking up trash, combining the environment and exercise. The word is a combination of the Swedish phrase 'plocka upp,' meaning pick up, and jogging. “We’re just hoping to make a spectacle out of it so people say, ‘Why are you doing this?’ and hopefully, ‘How can I get involved?’” said Allison Lukacsy-Love, one of the organizers of the newly-created Cleveland Plogs. For now, they are focusing on the Collinwood neighborhood in Cleveland. Other "plogging" groups are popping up on the West Side as well. Lukacsy-Love said they are working with city leaders, council members, community and youth groups to get everyone involved. "And to really say, trash is a problem that we should all be dealing with and here’s a sort of unique way to get involved and make the community better," she said. It ties into the viral #trashtag challenge that’s taking over social media as well, with groups of people who go out and clean up litter — then post photos of themselves with filled trash bags. As News 5 has previously reported , Cleveland has a chronic litter problem. The director of public works, Michael Cox, has admitted that the $3 million in taxpayer dollars spent on clean up every year is not enough. Cleveland Plogs first event is Wednesday at 6 p.m.
Those interested should meet in the Waterloo Arts District in Cleveland. There is a 2-mile route planned, and participants can walk, jog, or run at their own pace. Events are planned for every last Wednesday of the month through October.